Recently got a new PB of 113WPM but the site logged me out and didn't submit my score. 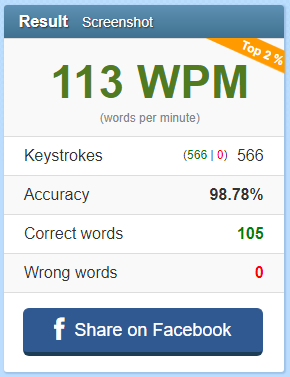 Happened the other day when I got 106WPM and It has happened before, anyone else? I know you can fake screenshots but here it is. Probably should have copied the share link. I took a look around the problem section and other people have a similar problem, just worded differently. I got it again and the site didn't log me out, though the accuracy is worse.